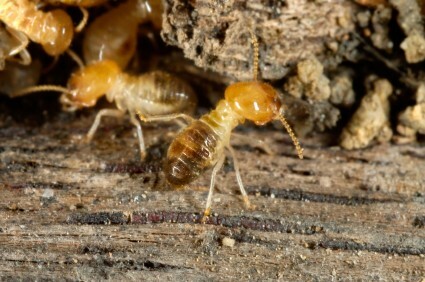 Termites do billions of dollars in damage to homes every year. Yet most people don't act until they discover termite damage. An inspection will be done on your property by a Credentialed Wood Destroying Insect Inspector. After the termite inspection is complete, we will recommend a treatment plan that will best meet your needs. Every home is different so we will explain all of your options. Our focus on the termite treatment will be to give you the termite control that that you need balanced with any environmental concerns. LIQUID TREATMENT- We use the most current materials are available that have the least impact on your home. This termite treatment is highly effective while having low odor. 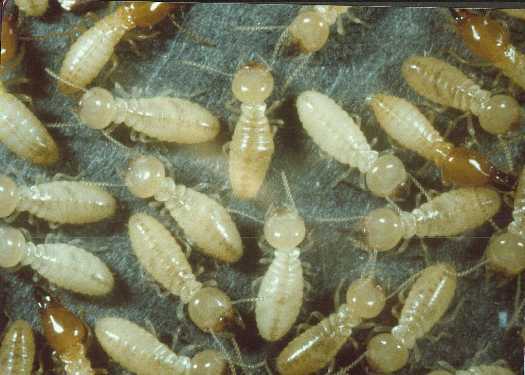 TERMITE BAIT SEYSTEM- We also offer the latest in termite control that includes the use of termite bait. The system consists of termite bait monitors that are put in the ground around the perimeter of your home, these are about the size of an sprinkler head so they are very discrete. These monitors allow for periodic inspection to see if there is termite activity. The insecticide is then placed in the monitor and the termites carry the insecticide back to the termite colony. This method while effective long term, and is the most environmentally friendly. WARRANTY- The treatment comes with a 1 year warranty. 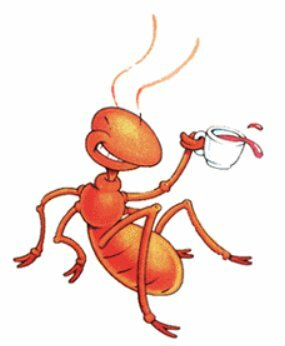 If you get any active termite infestations during this period, then we will re-treat as needed at no extra cost. REAL ESTATE TRANSACTIONS- When a building is sold or refinanced, the mortgage company will require you to have a Wood Destroying Insect Inspection. The report will show the finding of any active or inactive infestations of termites, carpenter ants, carpenter bees, and various wood destroying beetles. Our experience with real estate transactions will make sure your transaction runs smooth. TERMITE PRE-TREATMENTS- One of the best things you can do to protect your home is to treat the soil around your foundation footings during the construction of your home or addition. Also under slab construction before the concrete is poured. This creates a protective barrier for years to come. We can custom tailor any kind of protection plan you would like. You can also combine other services like our household pest control and even your lawn and garden programs to get the best value for your money, and for complete coverage of your property. That's the AAG PESTMAN advantage, we have you covered. PROTECT YOUR HOME BEFORE YOU HAVE A PROBLEM. Step 1- A Credentialed Wood Destroying Insect Inspector will thoroughly check your home for signs of termite activity and damage. Step 2- We will report our findings to you and explain the guarantee plan with you based on those findings. Do you have Termites or Damage? NO- Then we will set up a Guarantee Plan that consists of an annual inspection. YES- We will give you your treatment options and Guarantee Plan.